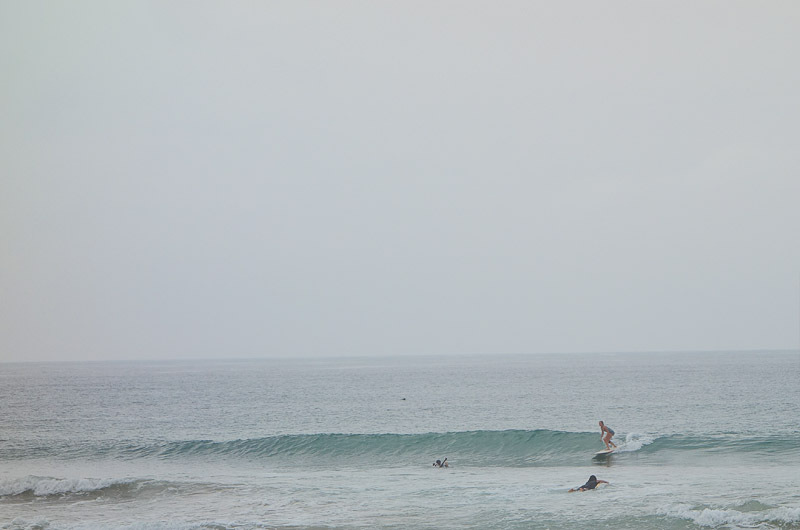 The swell is getting smaller and the crowds bigger.. But Hikkaduwa is a party place and if you’re up with the sun there’s very few guys out. I’m an early bird and yesterday I caught both waves and coconuts before the party-people had even open their eyes. So happy that I could bring my longboard with me this time. We’re flying with Qatar Airlines and they charge nada up to 3 meters and 10 kgs. I love small babywaves and my 9’1 is the perfect companion. Now I just want to learn how to walk to the noose..
i love me some baby waves!